You spent all that time and effort creating the perfect e-commerce website. You used the best images and descriptions. You spend money on e-commerce SEO, not to mention pay per click advertising. Would it not be nice if someone would communicate your value proposition to prospects and help you sell? Do such angels really exist? Yes, they do, and they are called affiliates. As expected, affiliate marketing is not a bed of roses. But if you understand it well, and design a good affiliate marketing program, you could end up skyrocketing your sales. This article is a beginner's article for understanding the multiple dimensions of an affiliate marketing program for e-commerce websites. An e-commerce website owner appoints affiliates who have some means of reaching a relevant audience. 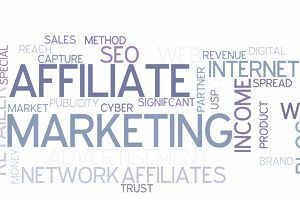 Affiliates could be website owners, owners of email marketing lists, or specialists in the arbitrage between pay per click advertising and affiliate commission. When new affiliates are evaluating your program, they will disappear in no time if conversion rates are poor on your website. So someone clicks a link on your affiliate's site and reaches product A on your website. But this visitor does not purchase immediately. Instead, she returns two days later and buys product B. A reasonable person will agree that it was quite likely the first visit that led to the sale in the second visit. It is the kind of sale you must credit to your affiliate. And they must earn a commission for this. What could be more obvious? But I am almost never convinced of the sincerity of an e-commerce business when it comes to helping the affiliate sell. Different affiliates approach their audience differently. So make sure that you give them images, animations, videos, articles, and more so that they can effectively promote your offering. How many sales and chargebacks have occurred from their referral. Make sure that affiliates can easily check their present commissions, as well as historic reports. Additionally, make it easy for them to receive their money by several methods. Bank check, PayPal, direct deposit, wire transfer, and gift certificates are some of the methods. It is not cut and dry, but some e-commerce merchants report success with two-tier affiliate programs, or for that matter multi-tier affiliate programs. In this arrangement, affiliates are encouraged to sign up more affiliates. Then they earn additional money from the sales made to the customers of those new affiliates. Some affiliates might be so good at affiliate marketing that they could teach you a thing or two. Others might be rank newbies. Without talking down to affiliates, you should have manuals, articles, videos, webcasts, and any other tool you can afford, to train your affiliates. You need to train them and also convince them that you think they are valuable enough for you to invest your resources in their development. Online relationships are fickle. Half the people I have talked to do not remember most of the affiliate programs they signed up for. So sending a periodic email is a good idea. But do not let it sound like you are sending an email for the sake of it. There should be something valuable you have to say each time you send an email. Implemented right, an affiliate program could be the best thing you ever did for your e-commerce website. Right from the single product one-man-show kind of e-commerce business to the Amazon.coms of the world, everyone can gain from effective implementation of affiliate programs. But make sure that you do not start thinking of your affiliates as a pain in the rear. And certainly, do not act as if they are a threat to you.